YAOTL is the sole owner of any information collected on our site or for subscription registration purposes, including customer and billing contact information. Usernames and passwords collected for the purpose of site access authentication are held in the strictest confidence. 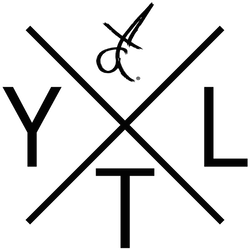 We will not sell, share, or distribute this information in any way, or use it for any other purpose than for site access authentication to yaotl-threads.com. YAOTL collects personal information necessary to respond to your requests for our products and to allow you to use the resources available on our website. When creating an account, the personal information includes, but is not limited to, First name, Last name, and email address. YAOTL also uses billing/shipping forms for you to receive your products. On such order forms the personal information includes, but is not limited to your contact information and demographic information such as physical address, email address, and also possibly best contact phone number. We also keep track of your visits to the site and all purchases you make through us with this information. When you provide information to YAOTL, the information is stored in our databases and such information is kept private. YAOTL reserves the right to contact you about your account at any time. Information we collect is used to tailor your experience at our site, to help you continue shopping with saved items in your shopping cart and finish your purchase at a later date. Your contact information may also be used if it becomes necessary to contact you. We may share your personally identifiable information with those companies that assist us in providing YAOTL service to you, known as third-party service providers. We share personally identifiable information (not including credit card information) with third parties that assist us with the administration or fulfillment of product ordering.